This is a great gift for the wine and golf lover in your family. 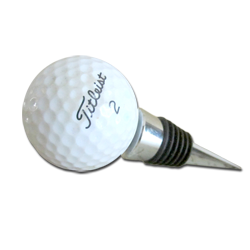 The golf ball is an authentic golf ball design to be a sturdy wine stopper. It makes for a great conversation piece and is wonderfully functional.